NAAIM Speaks is bi-monthly newsletter containing market insights and analysis from NAAIM member firms. 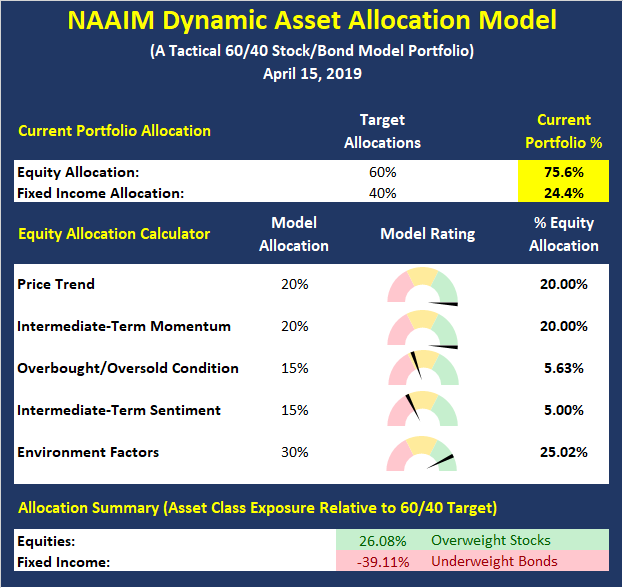 “Speaks” is designed to provide a plethora of market analysis, indicators, some occasional humor, as well as a summary of NAAIM’s proprietary Dynamic Asset Allocation Model and Managers Exposure Index. The report is for informational uses only and is not to be construed as investment advice. 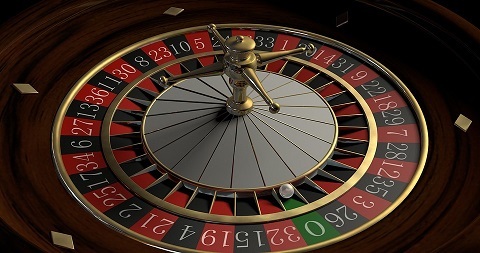 Everyone who has been at this game awhile knows that when a market experiences a “waterfall decline,” trading tends to follow a familiar pattern in the coming months. 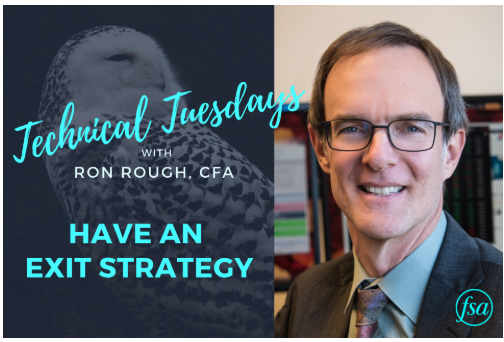 As the “crash playbook” spells out, first there is a bounce of the dead cat variety, then a retest of the lows (which can take many forms), a basing period (to make sure the worst is over), and finally, a resumption of the uptrend. Still Bullish. Junk Bonds. And Taxes. Stocks have definitely been quiet of late although that’s from a bull’s perspective from the inside looking out. There has been a very slight drift higher. From a bear’s perspective from the outside looking in, it must be painful first watching stocks relentlessly melt up and then continue to grind higher day after day after day. These types of markets wear on anyone holding cash waiting to invest. 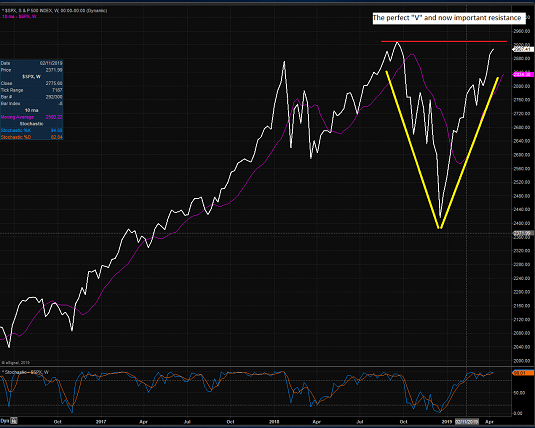 From my point of view, I have tried to do my best not to screw up my bullish outlook. While I have written about some recession concerns, the credit markets are not showing any worries. High yield bonds just keep making new highs day after day and week after week. Long before stocks peak and well before the economy peaks, I fully expect the junk bond market to put in a major high. We’re not even seeing junk bonds peak yet, so I have to laugh at all those Chicken Littles out there who yell that the U.S. economy has been in recession for months. That’s just not the case….. 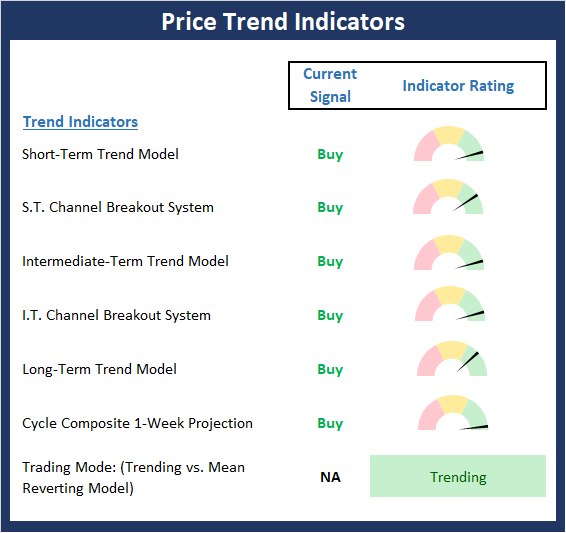 This week, we’re featuring the Price Trend Board, which is designed to give us a feel for the overall health of the current short- and intermediate-term trend models. The Price Trend and Momentum boards (not shown) have both scored perfect 10.0 for a second week. So, sometimes it is best not to overthink things as the trend is obviously an investor’s friend here. What Will Q1 Earnings Reveal About the Economy? One of the few areas of the market that is underperforming is small-cap stocks. 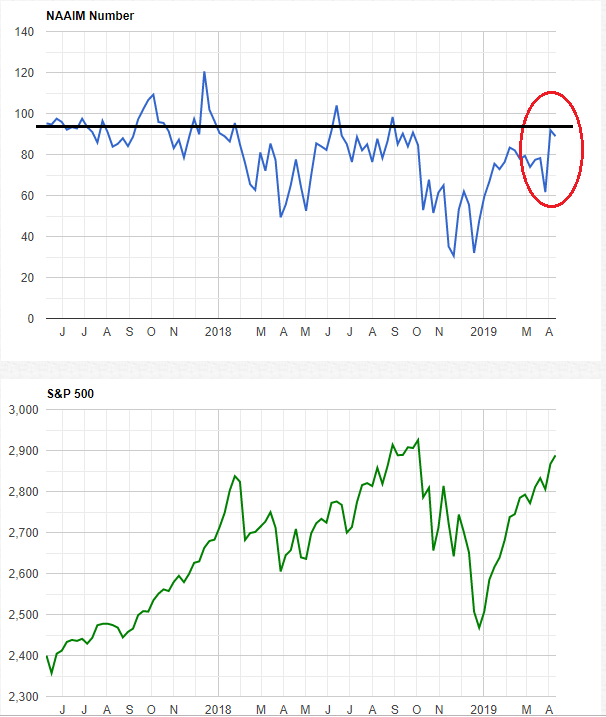 The Russell 2000 Index is still 9% below its 2018 all-time high and is currently struggling to get past the 2019 interim highs (R1). Generally in strong market environments, small-cap stocks tend to outperform large-cap stocks as investors are willing to take on additional risk. It was a relatively quiet week on Wall and Broad as the indices were mostly flat heading into today. Positive earnings from JP Morgan and Wells Fargo as well as the announcement of the acquisition of Anadarko Petroleum by Chevron, led to a jump at the opening bell; which mostly held throughout the day. The S&P finished up a little over 0.5% for the week. The last 2 weeks are marked by very low volatility as the S&P digests some of the recent gains. 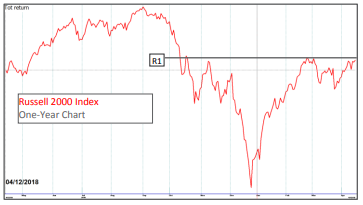 The sideways market is very constructive and lends itself to a continuation of the rally….